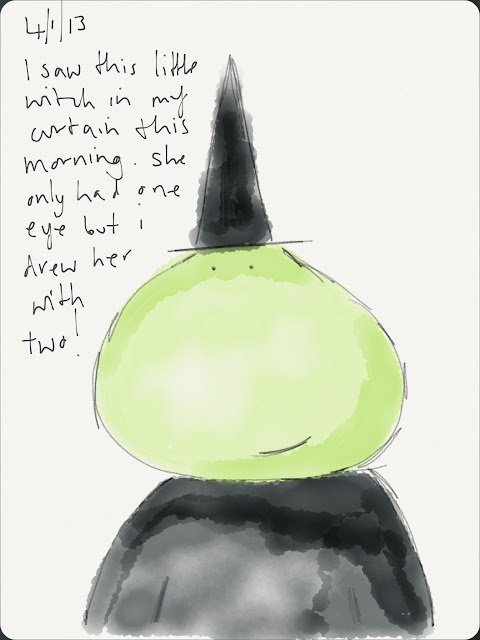 Instead of cloud gazing I was curtain gazing and this little witch popped into view so I had to doodle her. Do you like finding things in the clouds or do you find pictures in unusual places? I would love to have seen her in my curtains! Maybe I wasn't looking hard enough? She is looking very friendly and benign.